The critical Firefox vulnerability being actively exploited in the wild to unmask Tor users has been patched with the release of new browser updates. Both Mozilla and Tor Project has patched the vulnerability that allows attackers to remotely execute malicious code on Windows operating system via memory corruption vulnerability in Firefox web browser. 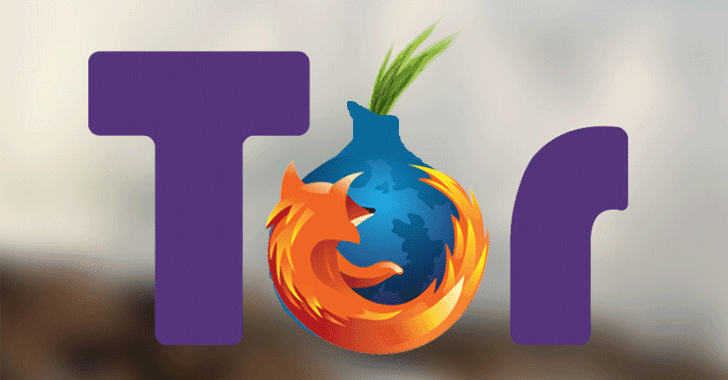 Tor Browser Bundle is a repackaged version of the open-source Mozilla Firefox browser that runs connections through the Tor anonymizing network configured to hide its user's public IP address. However, the exploit code released by an unnamed online user was currently being exploited against Tor Browser users to leak the potentially identifying information of Tor users. "The security flaw responsible for this urgent release is already actively exploited on Windows systems," an official of the anonymity network wrote in an advisory published on Wednesday. "Even though there is currently...no similar exploit for OS X or Linux users available, the underlying [Firefox] bug affects those platforms as well. Thus we strongly recommend that all users apply the update to their Tor Browser immediately." Soon after the Tor Project released the updated version of its browser, Mozilla also posted a blog post that said the company has also released an updated version of Firefox that patched the underlying vulnerability. The vulnerability, assigned CVE-2016-9079 and rated critical, also affects Mozilla's Thunderbird e-mail application and the Firefox Extended Support Release (ESR) version used by the Tor Browser. The attack code exploiting the underlying vulnerability initially circulated Tuesday on a Tor discussion list by an admin of the SIGAINT privacy-oriented public email service. "It used this capability to collect the IP and MAC address of the targeted system and report them back to a central server. While the payload of the exploit would only work on Windows, the vulnerability exists on Mac OS and Linux as well." Firefox and Tor users are strongly recommended to update their web browsers to the latest Firefox version 50.0.2 and Tor Browser 6.0.7, respectively, as soon as possible. Meanwhile, people using both Tor and mainstream versions of Firefox can set the Firefox security slider to "High" in order to protect themselves from the attack. Doing so would render the exploit moot, Georg Koppen, Tor Browser Team Lead, told The Hacker News in an email, although the setting will prevent many websites from working as expected. "Apart from that we are currently working on sandboxing techniques that have [the] potential to mitigate this kind of attack," Koppen added. "They are, alas, not ready for the stable series yet. We plan to ship prototypes with the next planned alpha releases." For more details about the critical Firefox vulnerability, you can head on to our previous article, Firefox Zero-Day Exploit to Unmask Tor Users Released Online.